Stay Right on the Beach...Beautiful 1 Bed/2Bath Condo with FREE Beach Chairs! 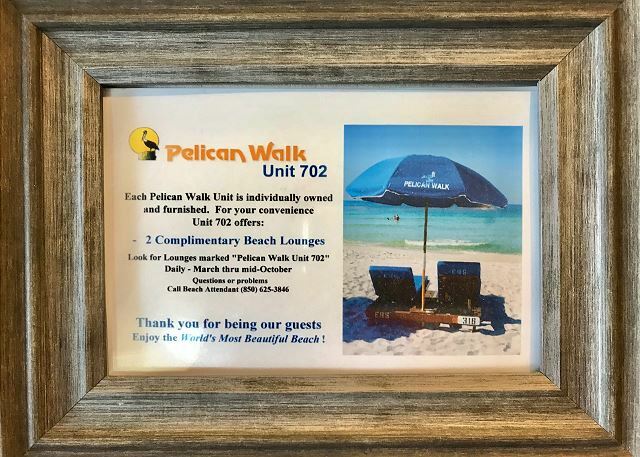 Unit 702 sleeps four guests at the Pelican Walk beachfront condominiums. 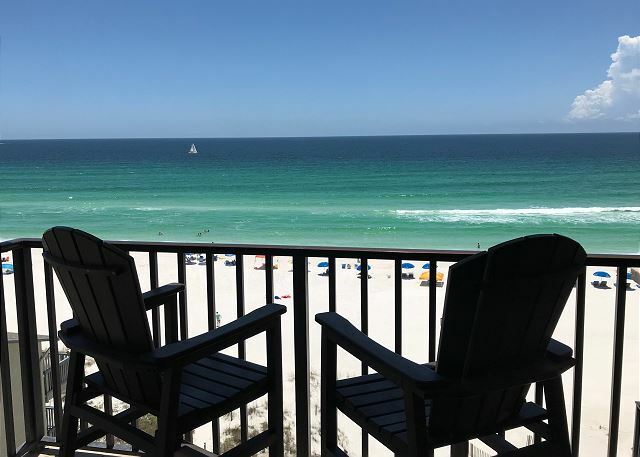 You will love our spacious 1 bedroom Condo...king bed in the master with private master bath, queen sleeper sofa, guest bathroom with shower, fully equipped kitchen that opens to the dining/living area and the BEST part is the Gulf-front balcony! Guests have access to clubhouse and other resort amenities, including 2 swimming pools, hot tub, game room, and courts for racquetball, shuffleboard and tennis. We had a great vacation! Condo was perfect!